Last week we showed you some amazing house designs focused on spoiling kitty, but not to worry, its not just cats getting purpose designed home features. There are literally thousands of fantastic home designs for dogs, and while much of the focus is on outdoor dog houses, but there are plenty of clever options for indoor dogs too. Most interior modifications are limited to ground level; items such as benches, cupboards and the lower levels of bookcases have become new dog-friendly spaces in today's homes. 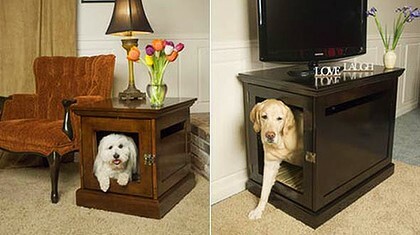 Dogs love being part of the action, but their knack of being underfoot can be annoying and even dangerous so some smart designers have come up with useful solutions..
Dog beds are incorporated into more stylish items of furniture, such as side tables for small dogs or coffee tables for larger ones. We've even seen bathrooms with purpose-built dog baths and showers and lounge rooms are being fitted with discreet dog flaps tucked into bookshelves set against exterior walls. 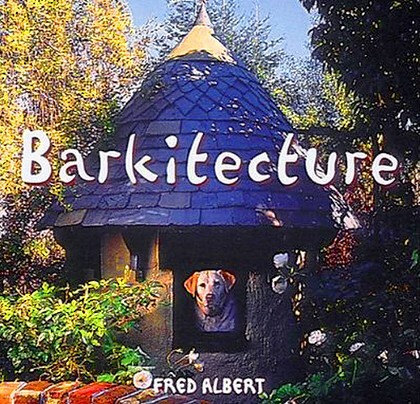 If you want some more great ideas for some doggy DIY take a look at Barkitecture by Fred Albert. There are lots of photos and "a witty, tongue-in-jowl commentary", according to the author, Fred Albert. 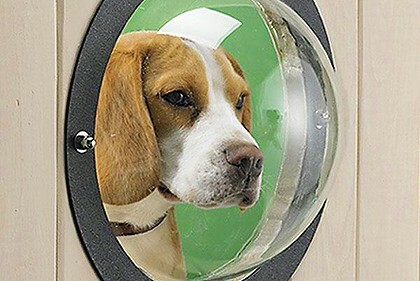 If you're dog likes to know what's going on on the other side of the fence, take a look at the Pet Peek Doggie Porthole. But wait, that's not all - Next week, some amazing homes for fish!.